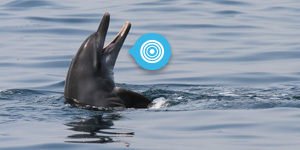 The transect survey technique is well established in the marine mammal research environment and recognised as an effective technique to obtain useful information on the status of cetacean populations (Wilson et al., 1999, Parra et al., 2006, Smith et al., 2011). It implies to navigate along predetermined transects at a constant speed with ideally at least two observers that check the sea continuously and can only be conducted with good sea conditions. 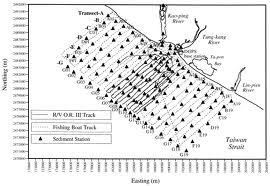 Transects are designed to insure that the whole area will be homogeneously surveyed. Using mathematical models to elaborate the data collected, the results provide population estimates such as population abundance. Furthermore data can be used to investigate the habitat use, the pattern of movements and seasonal occurrence. Photo-Identification is a non-invasive technique that utilizes photographs to recognise a specific individual. Photo Identification can be used in a variety of species as long as they exhibit a complex enough coloration pattern, for example zebras, leopards, whale sharks. The photo comparison once was done by eye, today there are sophisticated computer programmes that can promptly recognise an individual against a photos database. In the case of whales and dolphins, the dorsal fin or the tail fluke are used for identification. Every single individual present a different fin shape and also accumulates permanent scars and notches that make the recognition univocal. Photo-Identification is a powerful tool to estimate population size, short term migration patterns and social structure. In these pictures two different individuals are photoidentified: you can recognise the different notches and shape. If you encounter dolphin you can try to take suitable pictures to be able to identify the individuals that you see. See Photoghaphic Tips!